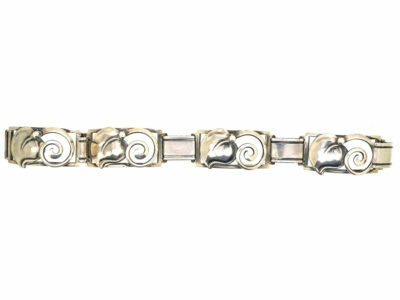 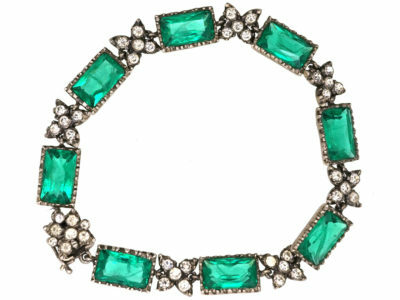 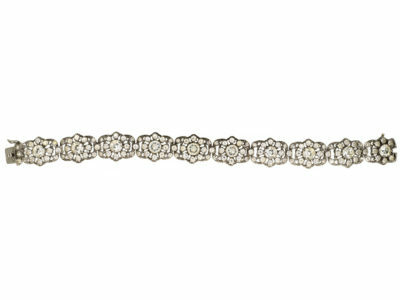 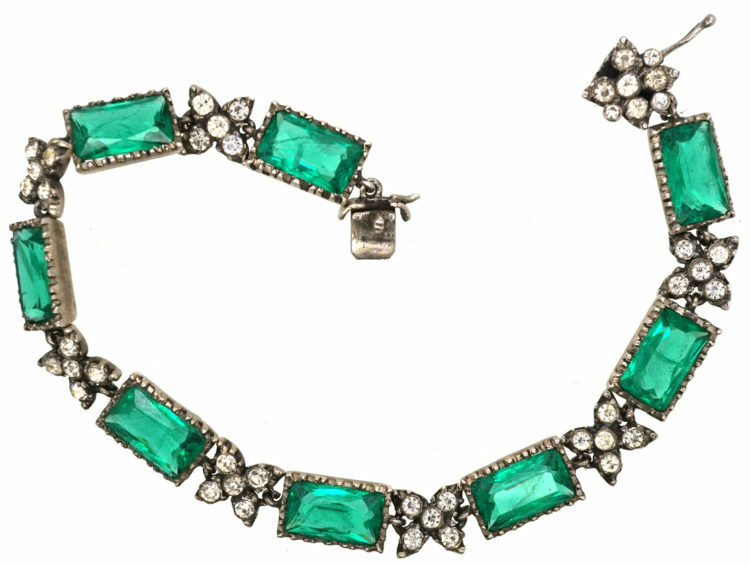 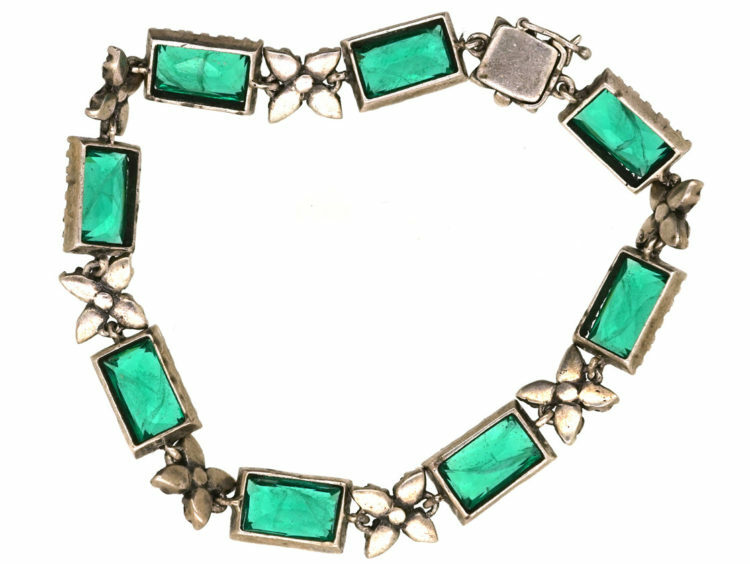 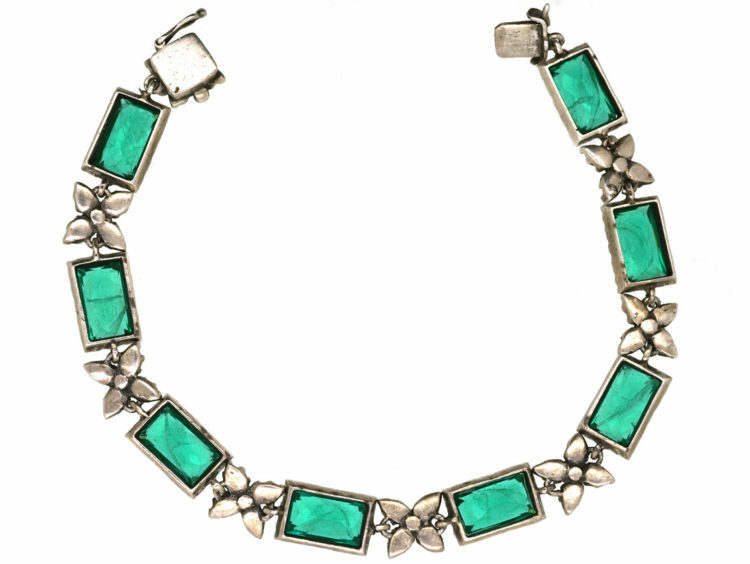 A wonderful example of a silver and emerald paste bracelet. 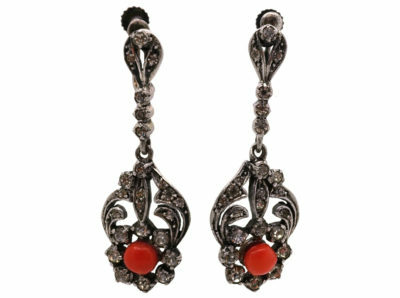 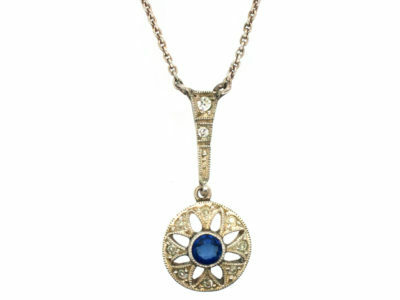 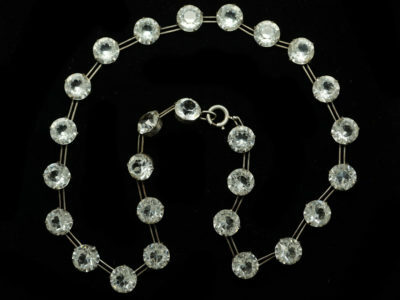 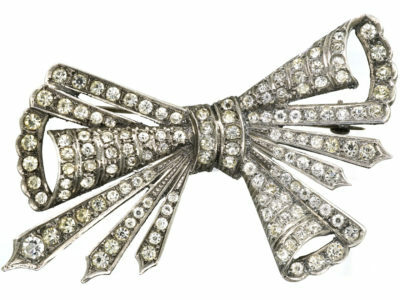 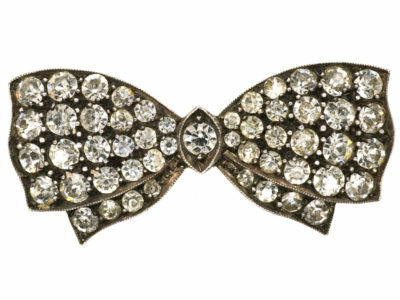 It was most likely made by a firm called Harold A.Lazarus that operated from around 1900-1960. 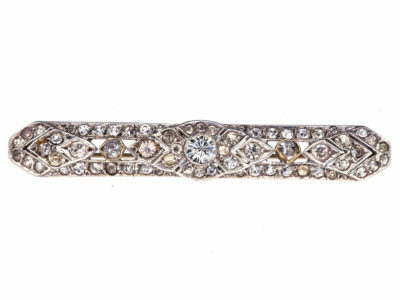 They produced exquisite paste jewellery in earlier styles. 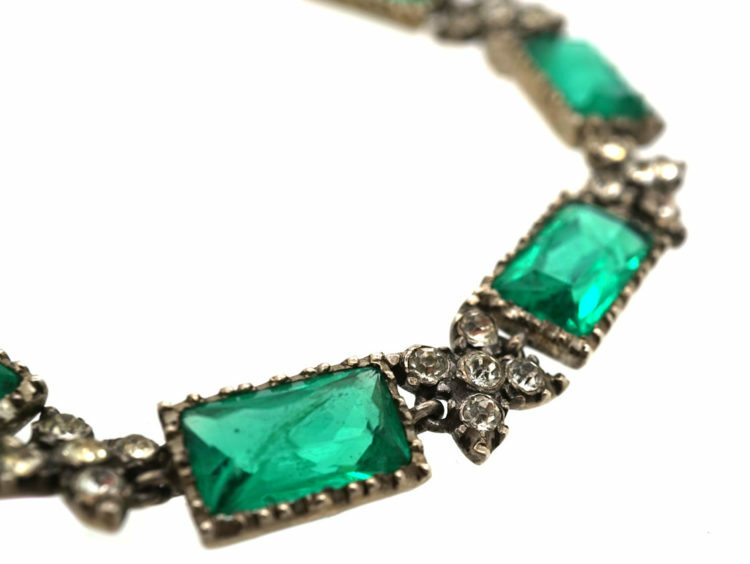 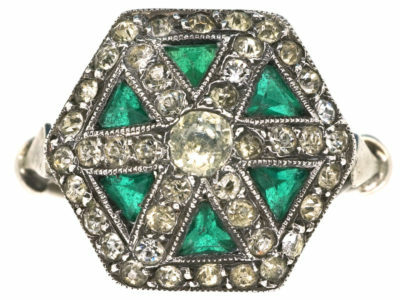 They were particularly admired for their skilful invention of fine fractures within the green paste that imitate the natural flaws in emeralds. 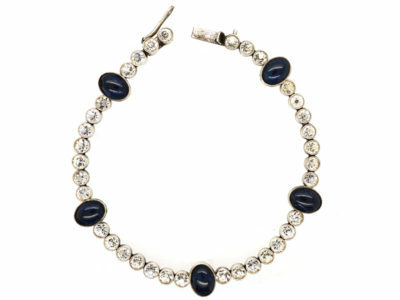 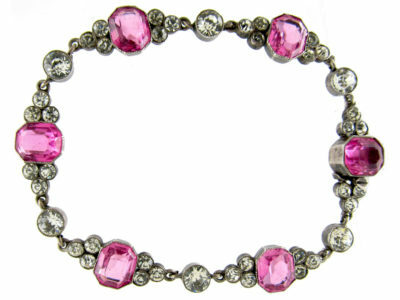 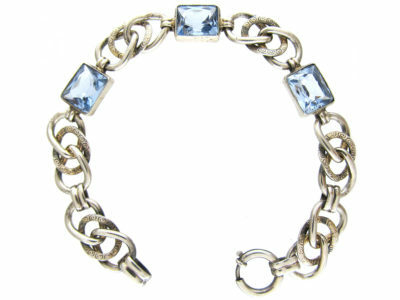 This bracelet is an excellent example and could easily be taken for the real thing when worn!